We’ve been watching MIDZ – Direxion Daily Mid Cap bear 3X in our barometer the last few trading days. This 3 x bearish ticker has been in a long down trend, but recently Moneyflow has begun to show signs of accumulation and the MACD diverged up when the price was still heading down. The 5 day barometer readings on Moneyflow and MACD in our Quotes montage are showing some bullish signs either all green or green arrow up. Maybe times are a changing. In my last article (http://tinyurl.com/mzhstm2) I wrote about a simple entry method I have dubbed “The RSI 3 Strikes and You’re Out Play” or TSYO, for short. The RSI 3 Strikes and You’re Out Method is a good candidate for option traders as it offers the potential to “make a few bucks” when the market experiences a pullback. So this week I want to offer a few examples. In the interest of full disclosure I had planned to do it last week, but once my family and I arrived in Aruba I quickly settled into the “Sleep Late, Run on the Beach, Lay on the Beach, Swim in the Ocean and the Pool, Shower, Go to Dinner, Repeat” routine. And in the midst of that “busy” schedule I found little time to write. I have a list of stocks and ETFs that I follow for option trading purposes. Not necessarily the “definitive” list but a good mix of tickers that trade lots of option volume. The list in Figure 1 displays some recent TSYO signals for some of the stocks on my list. *The first column shows the stock ticker. *The second column shows the date of the “Alert” signal (i.e., the 2nd non confirmation by RSI). 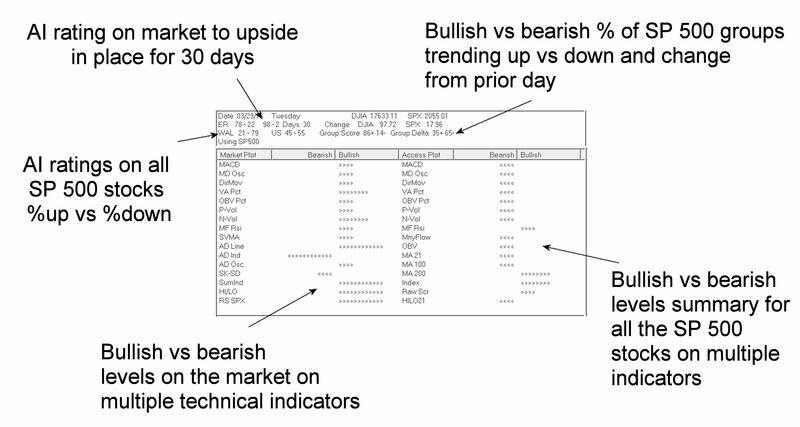 *The third column shows the date that the stock or ETF takes out the low of the previous three days. For the purposes of this article we will assume that a put option is bought at the close of the “3-Day Low” day. For deciding which put option to buy we will use the “Percent to Double” routine found at www.Optionsanlysis.com. One note, while I will highlight the profit potential for each trade reviewed, I will not detail any specific “exit criteria”. My goal is to highlight the entry signal and not necessarily create a mechanical “system”. I also think that each trader should do some thinking and consider their own criteria for when to take a profit or cut a loss. As you can see in Figures 1 and 2, AMGN triggered an “Alert” on 7/3 and made a new 3-day low on 7/8. What followed was little more than a modest short-term pullback. Still, as you can see in Figure 3, if a trader bought the October 120 put option on 7/8, by 7/17 he or she would have had an open profit of +40.5%. In this example waiting for a 3-day low before entering actually worked against a trader because on 7/25 AMZN gapped significantly lower as you can see in Figure 4. Nevertheless, if a trader had bought the September 320 put option at the close on 7/25, by 8/1 he or she would have had an open profit of +69.4%. 2. The above average profit potential associated with trading options. Ticker F triggered an “Alert” on 7/24 and made a new 3-day low on 7/25. If a trader had bought the September 17 put option at the close on 7/25, by 8/1 he or she would have had an open profit of +103.6%. So once again, the point of all of this is not to attempt to promote the “be all, end all” of trading. Because the TSYO method is most certainly not that. But it can do a pretty decent job of identifying opportunities (especially after the overall market has experienced an extended run up and may be running out of team near term). For traders who are willing to consider alternative (though simple) strategies such as buying put options, a method such as this can offer the potential to make money even as the overall market pulls back. No one should go out and start making trades using the method I have detailed here without doing some further study/analysis/etc. But the real point of all of this is that it is possible to use relatively simple ideas and relatively little capital to achieve trading success. The AIQ code based on Donald Pendergast’s article in the December 2013 issue of Stocks & Commodities, “Swing Trading With Three Indicators,” is provided at the following website: www.TradersEdgeSystems.com/traderstips.htm. In addition to coding the author’s system as described in his article — which uses the following rules: buy to enter long and sell to exit the longs; short to enter shorts and cover to exit shorts — I created a second system that uses average true range to get the breakout amount. I also added some additional trend filters that use the NASDAQ 100 index. All trading was simulated using closing prices to determine whether an entry/exit had occurred, and then the trades are entered/exited the next day at the open. My modified system uses rules to “BuyATR,” “SellATR,” “ShortATR,” and “CoverATR.” A comparison of equity curves is shown in Figure 7. In testing the short side, neither the author’s original system nor my modified system was able to produce profitable results, although my modified system has a smaller total loss than the author’s original system. FIGURE 7: AIQ, EQUITY CURVE. 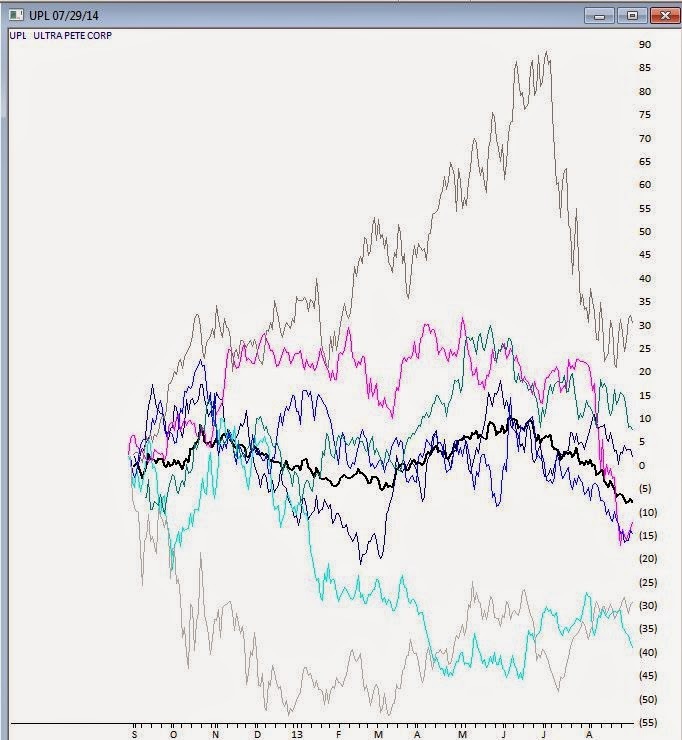 Here is a comparison of the equity curves for Donald Pendergast’s original system and my modified system trading the NASDAQ 100 list of stocks for the period 1/5/2000 to 10/9/2013. The code and EDS file can be downloaded from www.TradersEdgeSystems.com/traderstips.htm. TR is Max(H - L,max(abs(C1 - L),abs(C1- H))). Buy if price > maH+breakAmt and C > ema. Sell if price < maL. Short if price < maL-breakAmt and C < ema. Cover if price > maH. BuyATR if price > maH+atrMult*ATR and C > ema and ndxC < emaNDX and ndxC > emaNDXlt . SellATR if price < maL-atrMult*ATR. ShortATR if price < maL-atrMult*ATR and C < ema and ndxC > emaNDX. CoverATR if price > maH+atrMult*ATR.